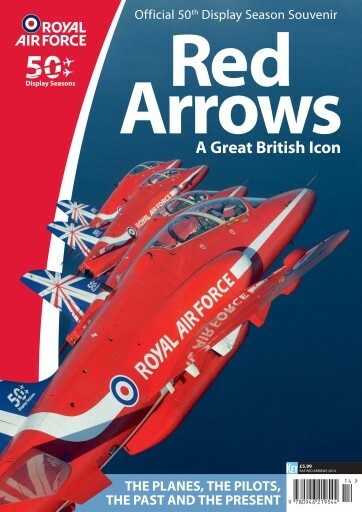 The Royal Air Force's world-famous Aerobatic Team, the Red Arrows, celebrates its 50th display season in 2014 and Key Publishing brings you the official history in a 100-page special magazine. Go behind the scenes to meet the pilots and groundcrew of this historic year and travel back through time to read about the characters and personalities that have made the team what it is today. From its beginning in 1964 as the Yellowjacks, the first years of struggle to get established and the highs and the lows of what has been a roller-coaster ride of emotion on occasion. From every pilot and every aeroplane the team has used to the bases it has flown from, this publication is a must for all fans of airshows worldwide.